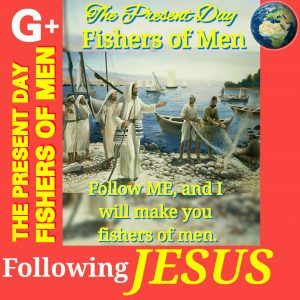 Follow me, and I will make Fishers of Men. FOLLOWERS OF LORD JESUS CHRIST ARE INVITED FOR MORE KINGDOM HARVESTS. FOR THE GLORY OF OUR GOD THE FATHER. HE IS MY GOD AND I TRUST HIM. 2 I WILL SAY OF THE LORD, HE IS MY REFUGE AND MY FORTRESS : MY GOD; IN HIM WILL I TRUST. Next Post YES! JESUS LOVES YOU AND ME!